Specialists in insect traps, in mosquitoes for fruit flies and in the control of pests for mass capture through pheromones, kairomones and food attractants. PROBODELT’s approach, based on the integration of different control techniques and the fine tuning of simple application systems, has given this company a good reputation and has kept it worlwide at the cutting edge of technology. We are a state-of-the-art company as regards the development and application of strategies for pest control. 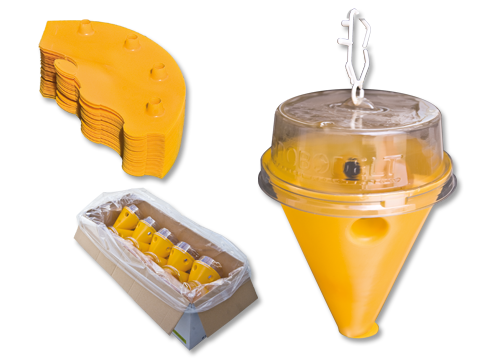 We are experts on traps or insects: we investigate and develop new models, which we patent and manufacture directly. 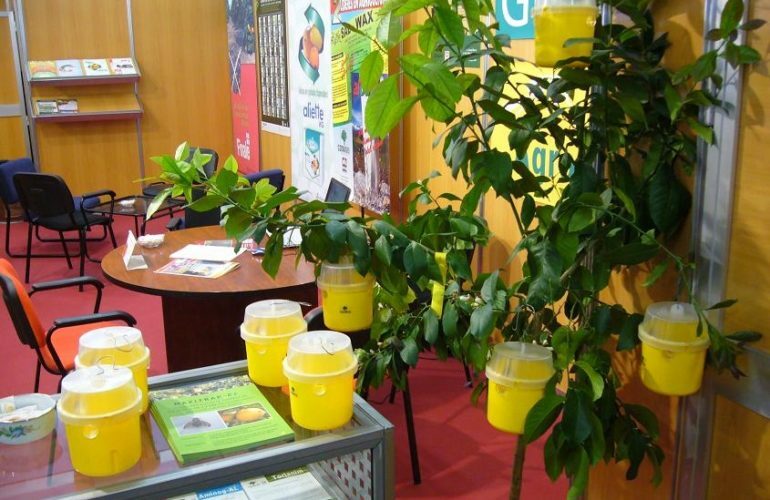 We develop together the fine tuning on the field of the different pheromones and other attractants from our suppliers. We supply top quality materials and we are constantly improving them. Plagues presently being controlled with PROBODELT‘s techniques are the rice warm (Chilo suppressalis) in Catalonia (Ebro delta and Pals’ rice fields) and la Camargue (Roïne Delta, France), the Mediterranean fruit fly (Ceratitis capitata) in citrus and sweet fruit areas in Catalonia, País Valencià, Múrcia, Andalusia, Aragó and the Balear Islands, the artichoke borer (Gortyna xanthenes) in Catalonia, the (olive tree fly Bactrocera oleae) in the south of Catalonia and the diamondback moth (Plutella xylostella) in Catalonia.